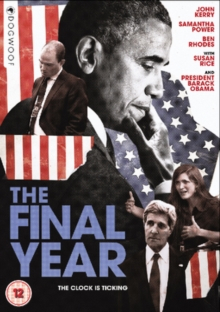 American documentary focusing on President Barack Obama's last year in office and the workings of his foreign policy team in preparation of handing over the reins of power to the next elected president. Throughout 2016, the team attempt to fix policies in place to solidify their legacy and ensure that diplomacy is maintained for the future of the United States. American documentary focusing on President Barack Obama's last year in office and the workings of his foreign policy team in preparation of handing over the reins of power to the next elected president. Throughout 2016, the team attempt to fix policies in place to solidify their legacy and ensure that diplomacy is maintained for the future of the United States.